This is actually true because the first thing people will compliment you on if you have dressed smartly is say that you have nice shoes. Shoes always stand out compared to the other clothing elements. Shoes can definitely make or kill your look. Here, at KenTex Cargo, we always want you to be at your best looks and ahead in the fashion game. That’s why,in this post, we will give insider’s tips on what to look out for when shopping online for shoes and which U.S stores can give the best value for your money. I recommended that you read on to even learn how you can have them delivered from these U.S stores right to your doorstep in Kenya affordably. Sometimes, physically shopping for shoes can be a hassle, timewise and even from the simple fact that you might lack a variety to choose from. Other times, you are even to forced to settle for a shoe that wasn’t your preference, just to get by. If you have feel or even experienced this, then shopping for shoes online from U.S stores or store that ship to the U.S may be a good choice for you. It’s true that it can sometimes be difficult to purchase a shoe without trying it on, but these steps should help you out or should keep in mind to give you ease. Measure your foot size at home. Since you will not be able to try the shoes on before buying, it is important to know the exact size of your foot. You can do this by looking at the size of the shoe which currently fits you well or simply take a piece of paper and trace your foot, then take a ruler and measure in cm/inches. After you measure, you can use an online shoe size chart to see the comparable US shoe size with your measurement, because the shoe size in U.S stores will probably be in U.S metrics. Use this shoe size chart here. Know what kind of shoe you want to buy. Are you looking for official, sporty, comfort, style, or a mix of both, is it for your husband, wife, child? These are important considerations to make before you decide on any shoe to buy. Determining the type of shoe will also help you narrow in on proper search terms, for example “official shoes for men/women”. Search using Google, Amazon, eBay or your favorite U.S shopping website. For example, if you are looking for high heels, search “high heels” in the search field of whatever service you are using. When you find a shoe which appeals to you, look up the exact name of the shoe and read customer reviews.Customer reviews will be very useful, and something you do not necessarily get when shopping for shoes physically. It’s always good to compare prices for the same shoe from multiple websites. Certain online stores will have sales or offer the shoes at lower prices. Spend some time scouring through different search results before making your final purchase decision. If you have any concerns with the shoe, feel free to call or e-mail the customer care of the webstore with questions. If you have flat feet, for instance, ask the webstore how the shoe can support your condition. Once you are satisfied with your shoe choice, you can then go ahead and buy the shoe. Be sure whatever service you are using is safe and secure before entering credit card information. You can also use services like PayPal if you are unsure about the website. Read tips on how can shop online safely here. Keeping in mind the tips shared above, here are some popular U.S shoe stores from which you can shop from. Aldo. The destination for style-conscious shoppers, ALDO is all about accessibly-priced on-trend footwear and accessories. The ALDO Group is a private Canadian corporation that owns and operates a worldwide chain of shoe and accessory stores. The company was founded by Aldo Bensadoun in Montreal, Quebec, in 1972. 2. Champs Sports. Get your head-to-toe hook up and free shipping on the latest shoes and clothing from Jordan, Nike, adidas, and more. Champs Sports is an American sports retail store, it operates as a subsidiary of Foot Locker. 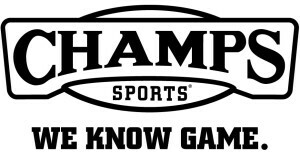 Products sold at Champs Sports include apparel, equipment, footwear, and accessories. 3. Finish Line. Shop Finish Line for basketball sneakers, running shoes, casual shoes & athletic gear from top brands like Nike, Jordan, adidas, Under Armour & more. FINL is an American retail chain that sells athletic shoes and related apparel and accessories. 4. Florsheim. Shop Florsheim Men’s and Kids Collections at Florsheim.com. Includes Dress Shoes, Casual Shoes, Imperial, Boots, Comfortech, and Safety Shoes and so much more. 5. Journeys. Visit Journeys.com for the latest styles from top brands with FREE SHIPPING on purchases of Kshs. 4,000 and up! Journeys Shoes carries the hottest brands and latest shoes for all genders. 6. Kid’s Foot Locker. 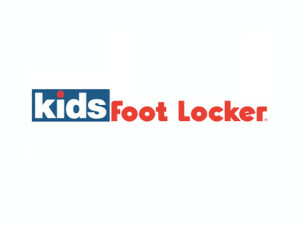 Shop Kids Shoes & Kids Clothing from Nike, Jordan, adidas, Reebok & more. The coolest selection of Kids Shoes with great deals & our 100% Fit Guarantee. 7. 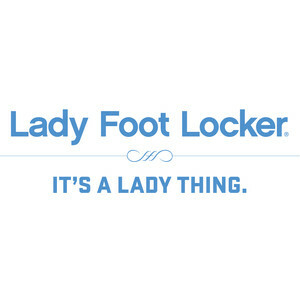 Lady’s Foot Locker. Shop the latest styles in Women’s Running Shoes, Athletic Shoes & Clothing from Nike, Adidas, ASICS, Reebok, Under Armour & more. 9. Nine West. Shop shoes at the Nine West official site. View the latest selection of women’s shoes, dress shoes, sandals, career shoes, casual shoes, boots and more. Nine West is a fashion wholesale and retail company. The corporate headquarters are located in White Plains, New York. 10. Skechers. Find all SKECHERS USA shoes available on Skechers official website. Free shipping both ways. Largest selection of Skechers available online. Skechers is an American footwear company headquartered in Manhattan Beach, California, founded by CEO Robert Greenberg and his son Michael in 1992. 11. Steve Madden. See the latest Steve Madden boots, shoes, and accessories at Steve Madden.com. Save with Free Shipping on all orders & free in-store returns. It’s a renowned footwear company in the U.S.
12. Timberland. Shop Timberland boots, shoes, clothing & accessories at our official US online store today. Timberland is an American manufacturer and retailer of outdoors wear with a focus on footwear. 13. DSW. Retail and online sales of dress, casual, and athletic shoes, and handbags. 14. Zappos. Featuring dress, casual and athletic shoes for men and women. Zappos.com is an online shoe and clothing shop based in Las Vegas, Nevada. 15. The Shoe Mart. 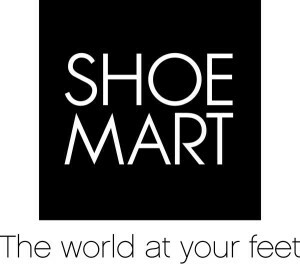 Find the largest selection of the most sought after shoes online at The ShoeMart. Visit TheShoeMart.com for top brands at great prices. The site has some good reviews. It’s definitely worth checking it out. This is just but to mention a few U.S stores with some great deals on shoes. In case you have any additional sites that you can recommend or I might have missed out, you can post your comment below. I’m sure by now you are wondering how you can shop from these U.S websites that I have mentioned and get them delivered right to your doorstep. Simple! This is where we as, KenTex Cargo, come in. As our slogan says, “Delivering Happiness…” our number one priority is ensuring your satisfaction through timely and hassle-free deliveries. KenTex Cargo gives you a smart way to enjoy savings when you shop for shoes online from U.S based sites. Learn more on how KenTex Cargo can help you, here. If you would like a quote for a shoe that might have had in mind or you might have loved from the sites suggested here, you can contact us here.